Rizbronics has been promoted by some highly experienced professionals dedicated to provide total technology solutions under one roof. Within the first year of its operations, Rizbronics has carved a niche for itself in the Software industry and has increased its business by acquiring some major domestic projects. Established in 2002, Rizbronics has been promoted by some highly experienced professionals dedicated to provide total technology solutions under one roof. Within the first year of its operations, Rizbronics has carved a niche for itself in the Software industry and has increased its business by acquiring some major domestic projects. Rizbronics is a technology based service provider in the area of eBusiness and IT Service Management, Specializing in the field of systems integration. Our commitment to providing hi-tech, reliable solutions to progressive businesses and organizations in the shape of competitively priced software products and services has helped us win laurels from our customers. Our business philosophy is based on the importance of relationships and a relentless search for greater accomplishments. At Rizbronics, we never lose sight of our commitment to fulfilling the needs of each client, building a long-term, mutually beneficial relationship on that foundation. To build Long-Term Strategic Partnerships with Industry leading suppliers of products and services to be able to provide end-to-end solutions to our customers. Quality, Reliability, Dedication and Vision to be the hallmarks of every aspect of our business. To gain and maintain Cost, Quality and Technology leadership in the international competitive environment as a world-class organization. To add value for our shareholders, employees and the economy by engaging profitably in providing our customers with state-of-art and cost effective Software Solutions. To promote best use and development of human resources in a safe and congenial working environment as an equal opportunity employer. Rizbronics provides software services including requirement analysis, system design, system construction, testing, documentation, installation and training. We develop custom software applications for a variety of business needs. Our work methodology focuses on obtaining a clear understanding of user requirements, refining the requirements during the design phase, using the most appropriate technologies and tools for construction, ensuring strict quality control, and applying strong project management skills throughout. Our advantage lies in the continuous refinement of our work methodology based upon our vast experience in project planning, designing, developing, testing and deploying web based and client / server based systems for international clients with exacting requirements. The first and foremost phase in our methodology is the requirement phase. We use a variety of techniques including, preliminary investigation, walk through, customer contact, review of existing documentation and directly ascertaining user requirements, to determine exactly what the customer wants. At the time that the requirements are being drafted we do the planning for the project, based on historical data we determine the time and effort estimates. It is with attention to detail and meticulous planning, that we guarantee the timely delivery of quality software. Using the information gathered in the analysis phase we build the infrastructure on which the foundations are laid of the software solution that caters for the needs of the users. We use this infrastructure to give a proof of the concept that was developed in the requirement phase. The design deliverables are given to the customer for approval and they are also used as a tool to verify the needs of the customer. It is our effort to make the design deliverables mature enough to be understood by the client as well as the technical teams developing the application. Business software systems are crucial for any business. Today's software application has thousands of users and with the mission critical systems being exposed to larger audiences, there is an ever-increasing risk of failure. We work all phases of software testing, and our methodology incorporates automated tools selection, comparison, evaluation, as well as providing latest solutions using automated software testing. Our QA team is working along side the development team through all phases of the project. Both teams start the work on the domain understanding simultaneously. When the development team starts the coding on an application the QA team writes test scripts and creates test data. After setting up an independent test environment the test team executes the scripts to ensure that everything according to required functionality. Once the application has gone through our through and rigorous software development life cycle and our QA group gives the go ahead on the conformance to requirements, we implement the application. The recommended strategy is that we keep the existing application, if any, in place and run the new application in parallel with the existing application. When the user has ensured that all requirements are being fulfilled, the developed application takes the place of the earlier system. In today's competitive marketplace, escalating costs of software development and shortage of skilled software professionals are important issues of concern. Off-shore software development has emerged to be a very viable alternative, i.e., your software development is carried out in countries, which are strategically well positioned to develop quality software apart from giving you a decisive cost advantage. Competitive rates for contracting charges that are less than 25% of market rates. No overheads - you do not incur general and administrative costs. No space requirements. No facilities cost (such as rent, utilities, and maintenance). No recruiting or human resources costs. Achieved by skilled human resource availablity & proper project management. You can have full control over the project being developed at Rizbronics by keeping in touch with the development team through a satellite link. We have a well-organized logistics structure that makes it possible to use effectively the skills of these specialists. 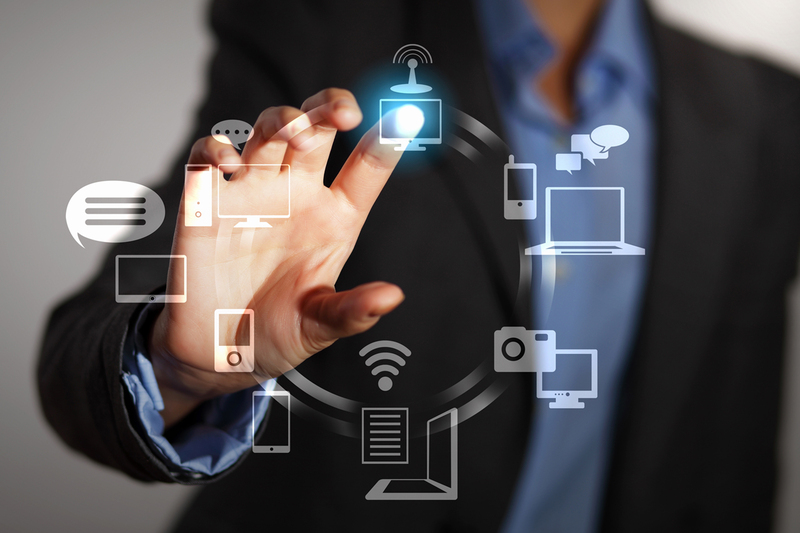 Ranging from Desktop Systems to Enterprise Solutions to Web & Wireless Application services. Due to our professional & skilled development team we can form a large workgroup and implement your project in extremely short time interval. The distributed structure of Rizbronics makes it possible for the Company to quickly adjust to the current client needs (size and number of workgroups, etc). We have based our organization on strong ethical and moral values, and believe in long term relationships that can only be achieved with trust. Due to our distributed structure, Rizbronics has practically always a certain number of available specialists ready to start new projects. Our aim at Rizbronics is to offer to our clients a very wide variety of High Quality Software development services. Rizbronics provides services that compliment your systems to deliver a more effective and consistent experience to your customers. Rizbronics also offers Joint Product Development services to its partners — working together to develop market-driven solutions. We aim to work together with our customers to form strong synergies and facilitate development of solutions that enable our customers to develop that distinctive edge in an increasingly competitive market space. Our Joint Product Development services are designed to maximize synergy by capitalizing on our expertise and working closely with you to create the best value. Through his model, we pool our expertise and knowledge of the industry with partners to jointly create solutions that innovative and provide genuine value to the market. Our services provide the edge that organization must possess to improve their competitiveness in their domains. We drive business innovation by integrating technology into the enterprise IT landscape, transforming business processes, and ultimately maximizing the value of package applications. Organizations rely on robust and agile applications to run their business processes, reach new customers, and sell products and services. Whereas, business applications in the back office maintain records, manage inventories, process analytics, and coordinate general administrative functions. Rizbronics’s expertise in developing customized applications creates the edge organizations require to become more competitive in the market. With hundreds of customers in the region, we help drive innovation by integrating technology into the enterprise IT landscape. We work very closely with the customer to understand their requirements and are committed to delivering software solutions that are scalable, flexible, and a perfect fit with what the customer requires. Our unique onsite/offshore business model allows us to offer competitively priced service and solution packages. Specialized on-site/offshore teams can be deployed whenever the projects demands to provide the best value for the customers. Until now, customers were forced to choose between high price or low value. Rizbronics’s business model combines services of high value with relatively lower costs. Our approach to onsite/offshore services is a unique model, which blends a sound onsite systems integration practice with a premier offshore software engineering business. In Check Cashing, taking chances on check presented by strangers could cost you a great deal of money. In recent years identity theft has been on the rise, causing businesses and individuals billions of dollars worth of losses which makes our Check Cashing Management System a must for your Business. 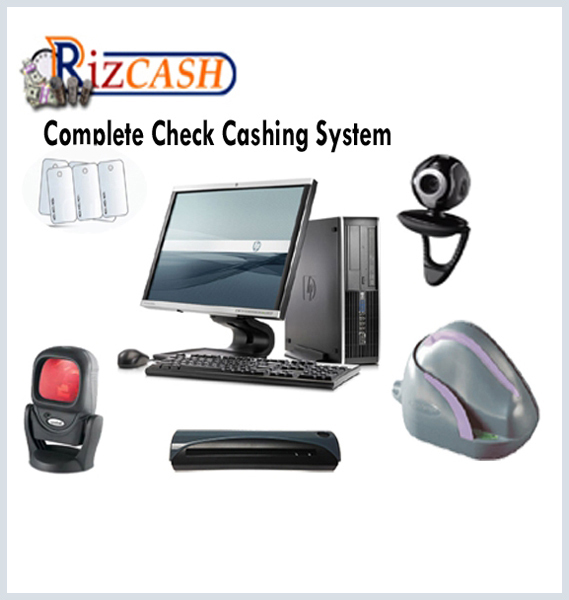 RizCash (A SafeGuard for your Check Cashing Business) is a check cashing business management tool designed to streamline and control the check cashing business processes. RizCash helps businesses to reduce repeated check losses, employee dependency, fraud, transaction time and backend paperwork. This leads to increase in profits, security, convenience, better management, efficiency and customer satisfaction. Quick and Easy Customer Enrollment. Quick and Easy Company and Bank Enrollment. Save Customer’s Picture and ID Image. Save Customer’s Check Images along with Transaction Details. Issue customer loyalty cards and Identify customers with their membership cards. Block Customers and/or companies to prevent future losses. Create and Track Bank deposits. Alert Mechanism to flag you on blocked customers and companies. One Click database Backup utility with backup reminder. Record and Store Transaction Video. Setup data access levels for Employees. Commission setup with respect to check types and/or customer. Send Alerts to other locations. Receive Alerts from other In-Network members. Automation features help you increase profits by catering to a bigger customer base. Helps you to increase customer base by streamlining business processes. Safeguards you against cashing bad checks by identifying new customers as well as customers with previously bounced checks. Helps you in identifying home printed checks and customer enrollment requirements in the system keep your business safe from offenders. Security features ensure authorize access to your critical data. Helps you in maintaining IRS required documentation on your business. Comprehensive reporting and history tracking helps in making better decisions. Any of your employees with no prior experience and knowledge can cash the checks of regular customers using the stored customers and companies information. Customers are always satisfied because of reduction in average transaction time. No pre-requisites required for cashing checks of regular customers. Stored information of customers and companies helps you in reselling your business and gives a confidence to buyer. Copyright © 2016 Rizbronics Inc. All Rights Reserved.